The half way point of the year has come and is soon to be gone very quickly, which brings us to Night Film Reviews’ annual Thus Far Best and Worst list. The Thus Far list is always a hopeful yet far cry from many of the final films that land on our prestigious Best of the Year list. Yet, a surprising total of nine films have held over in a span of two years from the middle of the year to the end. This is VERY impressive as it shows not only the confidence and power of studio films, but also Sundance favourites that carry themselves over from the month of January, well into Oscar season at the end of the year. 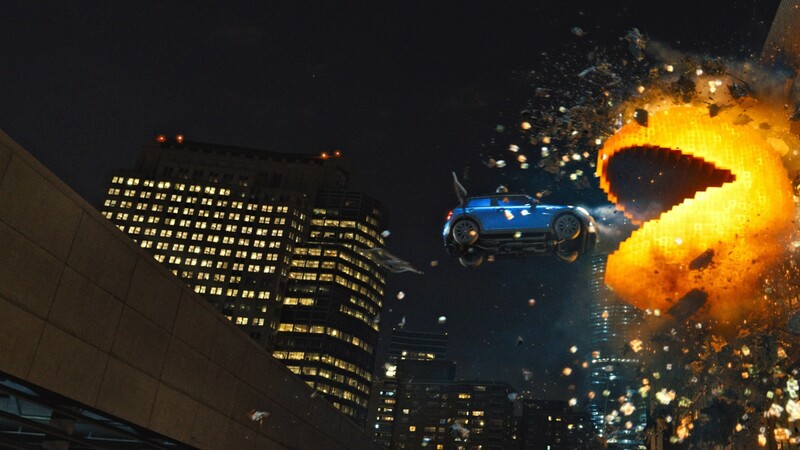 2015 has proven to be another strong year of early film-making and marketing. More so than ever, it has been a year of cinema where the fun factor has been truly amped up. Serious films are taking a bow to a slew of funnier, goofier and more family friendly cinematic fare, which is great to see that films can be joyful and still have immense quality. But like any good news, comes the bad. As always, there are a few films that people NEED TO AVOID AT ALL COSTS. So here is your official cautioning for the Worst films of 2015…thus far. One of my favourite original films of 2012 was easily the original and completely unexpected hit Pitch Perfect. With charming music, fun-loving performances and cleaver dialogue, the film became a sleeper hit amongst audience members, critics, and the box office alike. Fast forward hardly three years and it’s obvious that Hollywood only sought to capitalize on this hot commodity, and made what could have been a hilarious follow-up film into a forced, dim-witted and flat sequel, Pitch Perfect 2. With performances that are absolutely ridiculous, an abundance of racist jokes and highly sexual and discriminating dialogue, the sequel gets pitch slapped from every angle and way possible; reaffirming the notion that when something isn’t broken, don’t try to fix it–or mimic it for monetary gain. Pitch Perfect 2 is a bloated Hollywood sequel with out of tune…everything. Jennifer Lopez is an undeniable household name. Now, whether or not it’s for her talents as an actress, dancer, singer, can be debated. But one thing that cannot be debated is her unmistakable beauty. Jennifer Lopez, at 45 years old, is one of the hottest, sexiest and most buzzed about female celebrities in the world. Luckily for her, her micro-budgeted The Boy Next Door, made with a mere $4 million dollars, grossed over $50 million at the worldwide box office, and again, J.Lo was able to capitalize like she knows how to. Is The Boy Next Door any good? 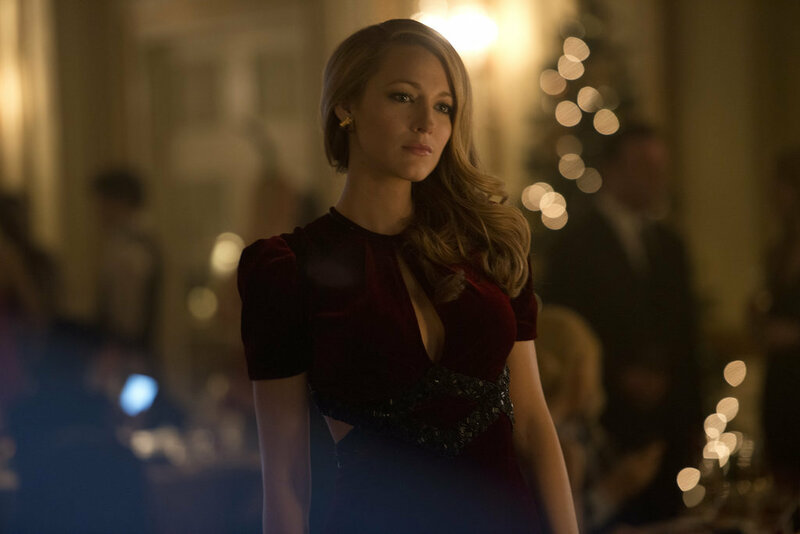 Well, other than the fact that the film shows the most skin since her role in U-Turn (thank you Oliver Stone), but not less than her regular appearances on red carpets, The Boy Next Door is a useless film of over used and over the top cliches, tired dialogue and narration and just another money maker for Lopez. So that would be a no. This film is as bland as the nerdy fanboy next door anticipating the next Star Wars film and should be avoided at all costs. Kevin Hart is the undisputed comedic champion in film as of now. Like so many other popular comedians before him, Hollywood pumps our theatres with as many films with their hot commodity as possible. 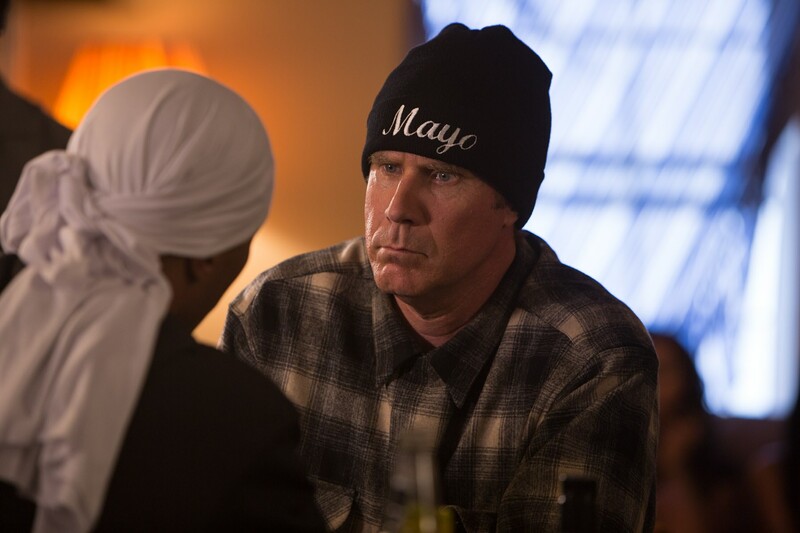 Get Hard, while it may not be very hot, features the very funny and talented Hart, with little to no talent–or heart. In 2014 alone, Hart was featured in 4 feature films, all of them being very obviously polished, studio cash grabs, monetizing the very funny and fit comedian. While Get Hard has its moments, and a scene similar to Paul Rudd’s in Wanderlust (yes, Paul Rudd’s Mirror Scene), Get Hard is a flaccid joke of perpetual stereotypes. I felt really bad including this film into the mix, solely for the sake of Vince Vaughan, whose comedic career has taken quite the detour. Wedding Crashers is easily one of my most cherished comedies and beloved by so many filmgoers in my generation. Unfinished Business is definitely not Wedding Crashers; yet I don’t think Vaughn is as sad as one may think. Thanks to his turn on HBO’s second season of “True Detective”, it seems like Vaughn may be the latest celeb whose career was kickstarted by HBO. There is no funny in Business. Rather, pathetic may be the perfect word to describe a film who underutilizes the likes of Dave Franco; a perfectly raunchy and timed actor in comedic films in Neighbours, Now You See Me, and the hilarious You’re So Hot series featuring McLovin himself; Tom Wilkinson and Nick Frost. Much like Franco’s lazy character name, Mike Pancake, the film is flat and comically useless. 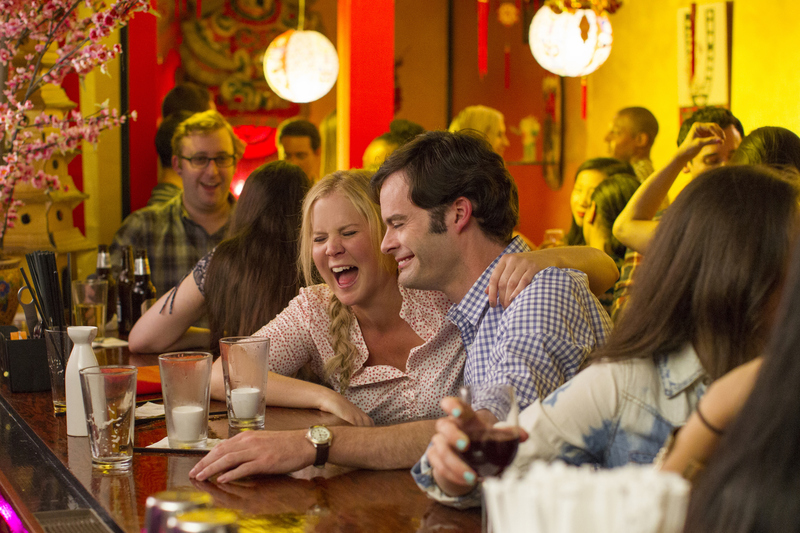 Without question, Trainwreck was my most anticipated comedy of the year. After a hilarious job of hosting the MTV Movie Awards, viral videos and a slew of hilarious interviews, my money was on Amy Schumer and Judd Apatow on releasing one of the year’s best summer comedy’s. However, after seeing the film it seems as thought the it’s title is very much a double entendre. Trainwreck is utterly disastrous as a comedy, as a star vehicle for Schumer, and as a come-back film for Apatow after his abysmal This is 40. Lacking in genuine chemistry with its male lead, the always funny Bill Hader; Schumer substitutes genuine lacks for exhaustion, over-long dialogue and unwitty pop culture references throughout. Who would have thought that a comedy starring Schumer and Hader would be overshadowed by the comedic timing of Brie Larson, LeBron James, Tilda Swinton and Marv Albert? Yea, that last one is the iconic NBA announcer. Before I rip apart the new sequel to the beloved Vacation franchise, I must come out and say that I have actually never seen ANY of the previous vacation films. Not that I didn’t want to, just never came around to them, nor did I think that they were crucial to the canon of comedy films today. For all you purists out there, rest assured they are on my list. The new, 2015 Vacation starring Ed Helms, Christina Applegate and Leslie Mann, however, is no smooth sailing film. Barely coming off the ground with completely outdated comedy, slapstick and narrative, the new film is an unwanted trip down nightmare lane. It is fair to say this was a definite disappointment for so many fans of the original films. I say, everyone involved with this film, go back to work and forget about this one. This was EASILY going to be at the top of the bottom; that is to say, steal my top stop for worst film of the year thus far. 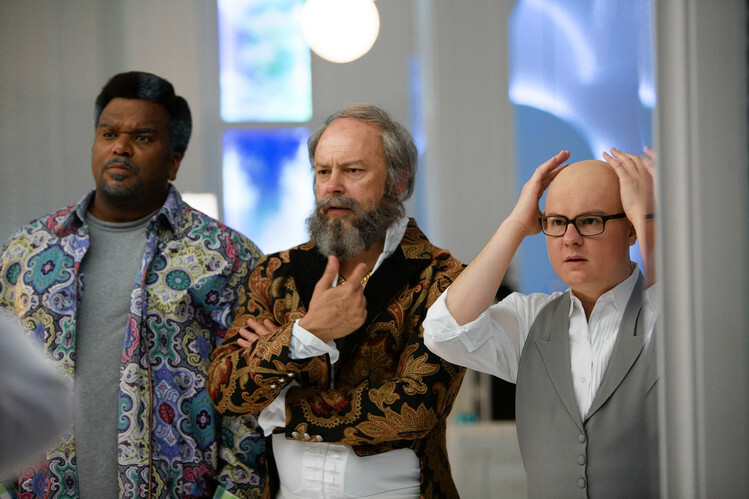 Luckily for Hot Tub Time Machine 2, another film stole its glory and allowed it to fall to number two of the worst, which may very well be an even worse feat. HTTM2 is uninventive, crass and just plain stupid. The coherence of the narrative is no where to be found, it’s stars seem to be making fun of their own characters, and the film is easily one of the dullest comedies of 2015. Everyone should have known better. If John Cusack left the project before it even began, everyone else should have followed suit and just enjoyed their money and time in a real hot tub. I say with the utmost confidence, that any discussion these actors under the influence would have had in their own hot tubs could’ve made for a much funnier film than this studio generated robot called a movie. It is really sad that seven of the eight films chosen for the worst of the year, have made it on our list. But alas, when films seem like they are highly ignorant ideas from a group of people with way too much money, fleshed out on the tail end of a serious hot-box session and brought to life on the big screen, what do you really expect. I am sure Adam Sandler and his pals have a great appreciation for classic video games and their iconic characters, yet Pixels in no way honours these characters nor do they seem to give them any cultural afterlife. The once funny Sandler and his Happy Gilmore banner can really make just about anything thanks to the success of its generational films over the last two decades. Just a few years ago, films like I Now Pronounce You Chuck and Larry, Click, and The Longest Yard where funny little cinematic escapes, and high praised films next to the likes of Jack and Jill, That’s My Boy and the Grown Up films. Sandler’s days may be numbered, even next to the likes of Josh Gad, Kevin James, Peter Dinklage and the always hysterical Nick Swardson. Let’s just hope another movie like this never gets made again and if it does, its so pixelated that it is hardly recognizable. If ANY of the above films followed a fraction of the comedic formula of Me and Earl and the Dying Girl, I can assure you that none of them would be in the position they currently find themselves. Luckily for Earl, it is atop our prestigious list as not only one of the best of the year so far, but also easily one of the best comedy’s of the year. Spewing with unconventional quirk that is sometimes amped to maximum volumes, solid performances, including a breakout role for R.J Cyler, and simple storytelling, Earl is easily one of the funniest and most genuine films to trip out on this summer before the heavy hitters come in September. Speaking about stunt-work and pure action sequence, one cannot bring the topic up without the last great action movie star of all time, Tom Cruise. The last Buster Keaton of action films, Cruise, who injured himself a record eight times while filming, delivers solid action sequences, fun movie magic memories and an overall well-done espionage film. 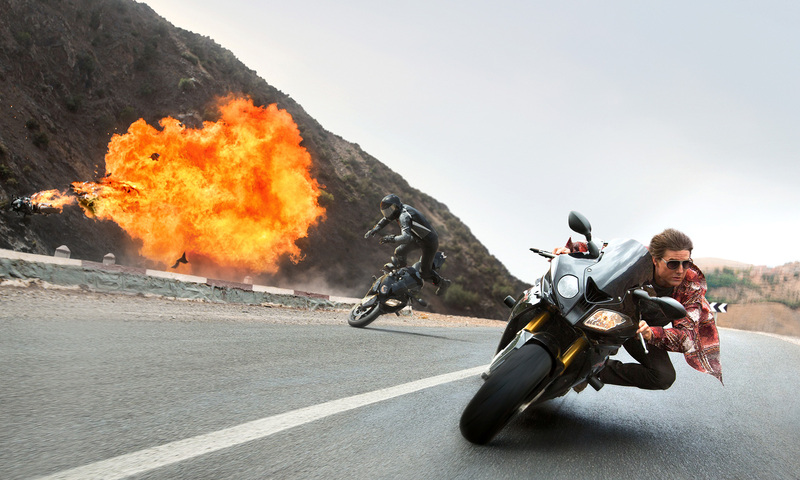 Lathered with hilarious characters, played by the always funny Simon Pegg, Ving Rhames, Jeremy Renner and the intensely funny Alex Baldwin; Mission Impossible: Rogue Nation is a cinematic mission that we can gladly choose to accept, even though they haven’t utilized a worthy villain since Philip Seymour Hoffman’s Owen Davian. Perhaps something to consider for the next instalment. I cannot seem to place one movie on this list without it having Tom Hardy, and its not because I am an absolute fan of the actor, nor is it because I think he is one of the greats of our generation. No. It’s because the dude knows how to pick’em. 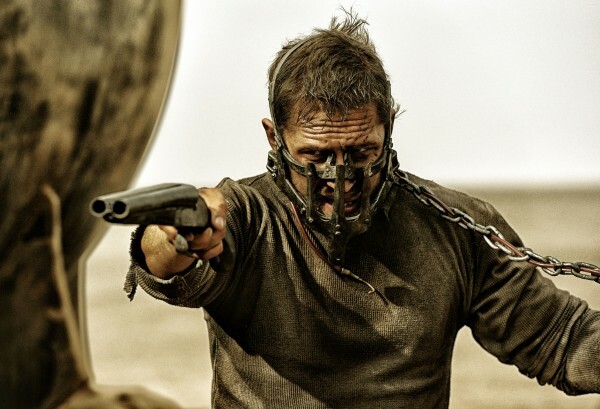 Mad Max: Fury Road is the fastest and most furious film of the year, never skipping a beat. Relentless and ruthless, Fury Road is action-packed popcorn entertainment with no regard for narrative, story or soaked up visual effects. The film stays true to the wonder of stunt work, character development (yes, even for an action film), and most of all, pure Hollywood fun. If you haven’t already, hit the road and watch this one, on the biggest and meanest screen you can. Pixar needed this! After Monster’s University, Brave and Cars 2, the studio that could make the unimaginable possible delivers yet again with one of the most original and emotional films of the year. 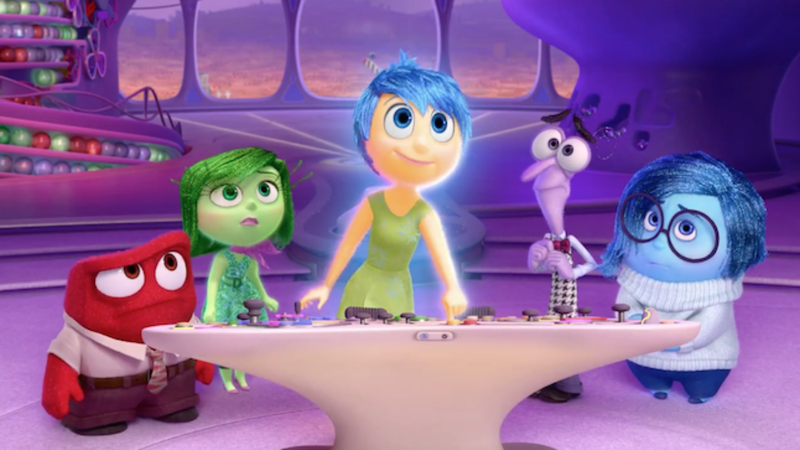 Inside Out is a true testament to cinema that can easily entertain children and wow adults alike. Joyful, sad, angry, disgusting and nerve-racking, the film goes through so many emotions and brings audiences back down memory lane to so many good times, bad times, hard time, and sad times, but always remembering to showcase the awesome. Pete Doctor, the man behind the genius, focuses less on animation creativeness and gives his best efforts of backflipping Pixar back on top of its game. What surprises me most of the best and worst list this year, is how so many of the melodramatic and heavy handed storylines are taking a back seat instead to many of the underestimated pure action films and quirky comedies. 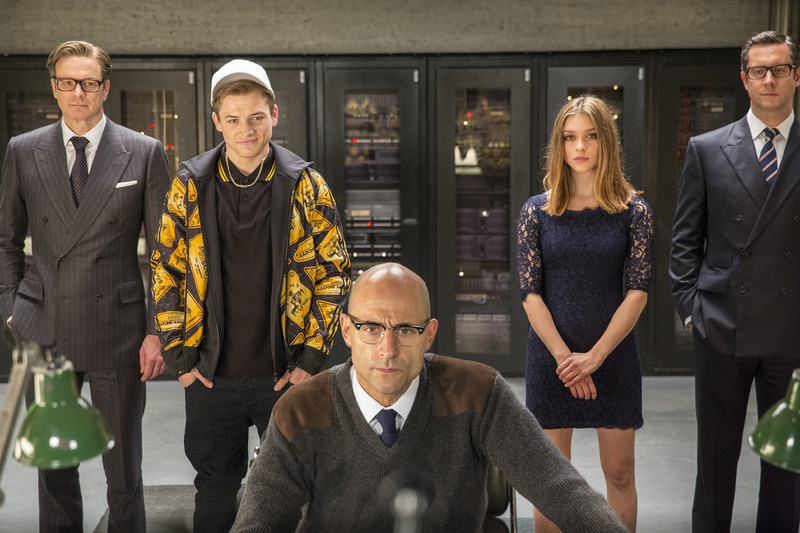 Kingsman: The Secret Service is a well balanced mix of all of these and more, for good measure. Palms sweaty, action intense, and cheeks hurting from so many memorable scenes and characters, one of the earliest films I’ve seen this year is also one of the most memorable. With strong performances from veterans Colin Firth, Mark Strong and of course Samuel L. Jackson, as well as song confident directing by Matthew Vaughn, Kingsman is easily one of the most satisfying all-round films of the year mates. Speaking about heavy handed dramas and inspirational stories of merit, McFarlane, USA fills the quota. 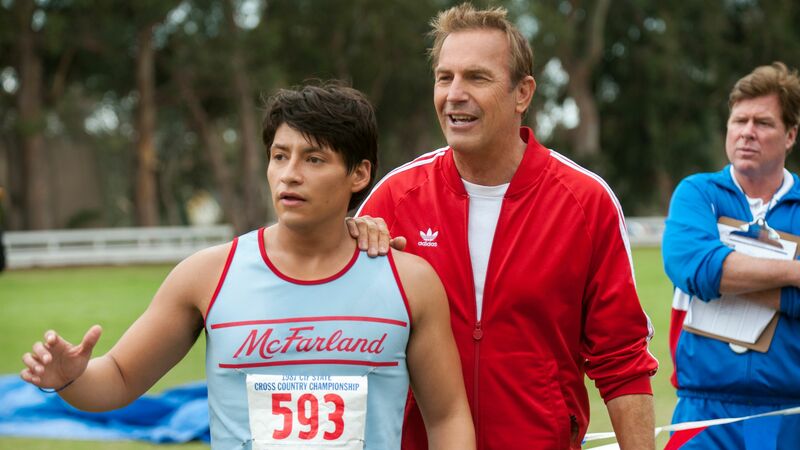 Kevin Costner seems to be on a mission to delivering socially aware and conscious films about racism and class structure, and does a much better job as track coach Jim White than he does in last year’s Black or White. Costner holds a film together that never diminished or over-embellished common stereotypes. Rather, the film is a positive cinematic achievement that reaffirms hope for humanity, even in the most hopeless parts of the world. McFarland is a film that I will hold very close to my heart for being one of the few, if not only films, that allows the common perspectives of the Latino culture to be destroyed for hardworking and truthful realities; especially in a highly commercial and public Donald Trump/anti-latino era. Not only would I HIGHLY recommend this film to anyone with Hispanic roots, but anyone who is interested in seeing the plights of good men, the inspiration of real people and the struggles of the everyday to inspire you. Don’t walk, jog or pace to this, run! Film criticism is a matter of knowledge, history, and of course more than anything, opinion. While I am sure many will not agree with some of my choices in the best and worst lists, people will have their opinions, and I will always write my position as to why. This may very well be a choice where my professional position as a critic and film reviewer may come into high question. Yes, Chappie is number two, and YES, I loved it. Now hear me out if you haven’t already read my review of the film (posted previously). Is the film a complete original? No. Does the film have issues? Yes. Is anything ever really perfect? I don’t know the highly philosophical questions of imperfection and nirvana. BUT, I do know that I was captivated to see a film that deals with contemporary and highly relevant gangster and hip-hop in a science fiction setting. The characters are interesting, the acting debuts of musicians intrigued me, and Chappie is a film I still talk about, debate, defend and love. As 2015 comes to a close, I say watch it for yourself and find out. Speaking of double entendres in the positive light, Sundance holdovers and quirk, next comes my favourite movie of 2015 thus far, Dope. What is dope? A slang? A motto? Are my tastes really taking a turn for hip-hop since I have began worshipping the music genre and its throwbacks? Perhaps. What remains though, is an honest, highly engaging and super fun romp with a very loud social commentary, daringly original soundtrack, and plain old fantastic storytelling. While many may look at Dope and see a black movie, a comedy, an indie or complete nonsense, I see a film that is highly intellectual in bringing to light the many differences and similarities of geek culture, fanboy culture, hipster culture, hip-hop culture and so many relevant generational defining fads that define not only youth of today, but adults of tomorrow. Dope doesn’t only break down the fourth wall of its cinematic confines, but the film introduces us to powerful performances from up-and-coming Shameik Moore, a convincing acting turn by A$AP Rocky, and of course a return to form for Rick Famuyima. 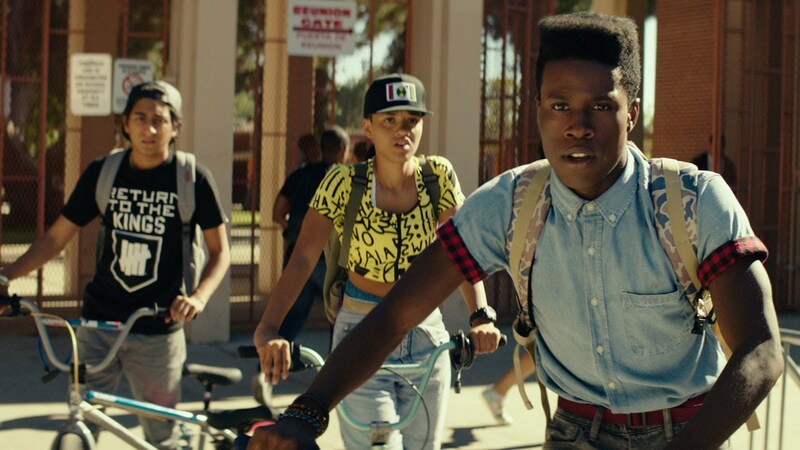 Dope is wicked, cool and terrific, rolled into one tightly lit film. Honorable Mentions: The Age of Adaline, The Avengers: Age of Ultron, Cinderella, Entourage, The Gallows, Jurassic World, The Longest Ride, Magic Mike XXL, Paddington, Paper Towns and We Are Your Friends. So there you have it, another half a year in, another Best Thus Far list. While this list is very well subject to change by the time December ends and 2015 is a figment of the past, I cannot help but share so many films that need to be seen, appreciated and talked about. With TIFF around the corner, movie lovers cannot help but be excited for a very exciting award season. however the trip isn’t really over yet.